Who says Stormtroopers don’t have bad days? 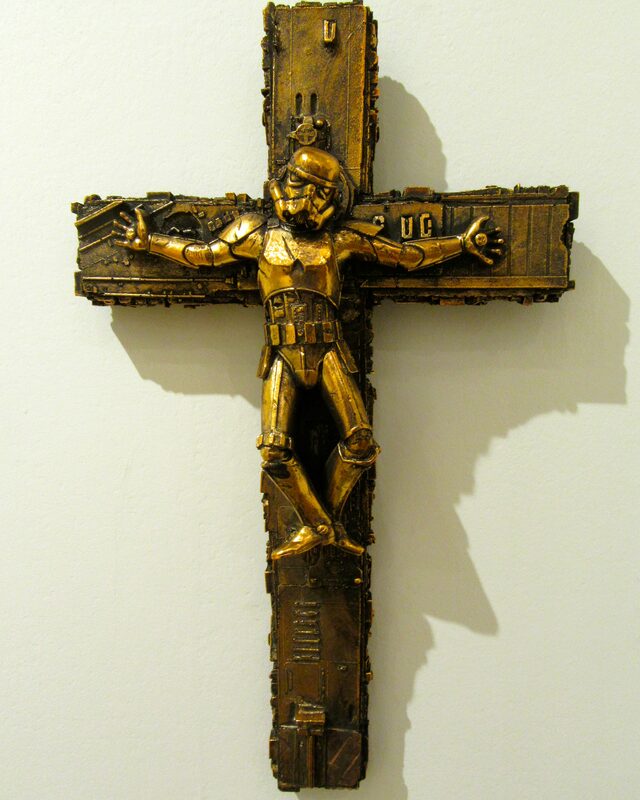 Mashing up Star Wars with the Passion of Christ like nobody’s business, Ryan Callanan’s Long Suffering Trooper (2016) is resin with a copper patina finish (also available in solid copper). Available in a Limited Edition of just 25 pieces (signed/numbered by the artist) for $625 each, from TAG Fine Arts in London. Photographed at the Affordable Art Fair NY in September, 2016.